WEDNESDAY, Feb. 7, 2018 (HealthDay News) -- New insights into what gives one bat species a long life span could offer clues to helping people live longer, scientists say. European researchers analyzed DNA from about 500 wild bats from four species. Their focus was on telomeres, the protective structures on the end of chromosomes. In humans and most other animals, telomeres shorten with age, causing aging-related breakdown of cells that lead to tissue deterioration and ultimately death. That's not the case with Myotis, the longest-lived species of bat. 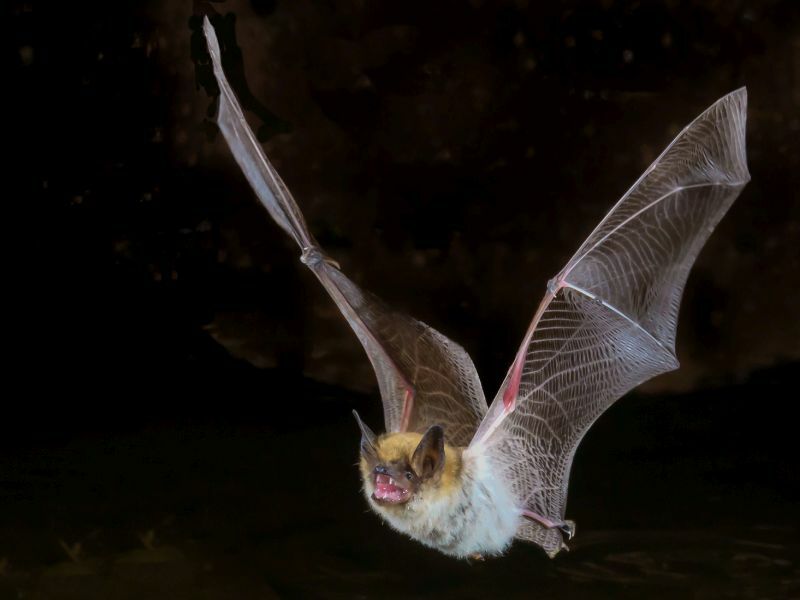 Compared to the other bat species, telomeres in this mouse-eared bat don't shorten with age, according to the study authors. To determine how these little brown bats maintain their telomeres, the researchers examined the animals' genomes -- their complete set of genes. The researchers compared them with those of 52 other mammals, focusing on 225 genes associated with the maintenance of telomeres. "Our results suggest that long-lived bats have evolved better mechanisms to prevent and repair age-induced cellular damage," said study senior author Emma Teeling. In particular, two genes -- ATM and SETX -- may drive this, said Teeling, a professor at University College Dublin in Ireland. It appears that the bats may have evolved a unique process to lengthen their chromosomes without inducing cancer, she noted in a university news release. Teeling said these are new results "that we need to further explore to uncover how bats can remain healthy as time passes." The findings are the first step in understanding the molecular mechanisms behind this bat species' long life spans, according to the researchers. They hope they'll eventually point to ways to slow aging in humans and extend human life spans. The findings were published Feb. 7 in the journal Science Advances.